Put the world's geographic information at your fingertips. Adobe PDF is the global standard for trusted distribution and viewing of information. We shall be parking (as some of us will remember) in the Wincombe Business Park [Grid Ref ST 869 242] sited along the east, right-hand side of the A350 running north from the roundabout at the top of the hill on the NW side of Shaftesbury. About a mile along the road there is a large notice reading ‘Wincombe Business Park Entrance’ . Pull in, drive a few yards on to the left and sited on the right hand side is a car park with a cafe in the corner. From here we will walk a few hundred yards up the A350 - then cross over this (very busy) road to the ‘Management’ entrance to Kingsettle Wood and meet up with David Humphries at 10.30. Now all but half way through March have pleasure in forwarding the meeting-up details for our first field meeting of 2019 to Kingsettle Wood just north of Shaftesbury along our Dorset/Wiltshire border. And which we first walked in April 2015. 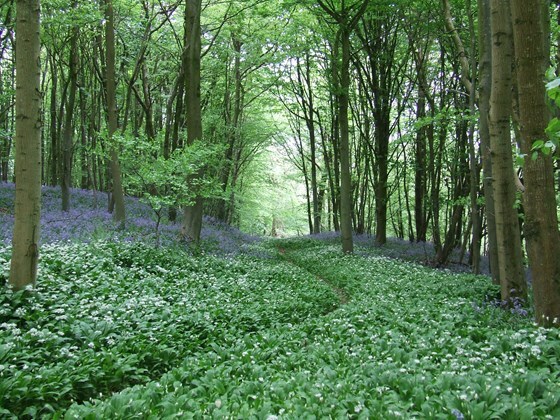 Our second visit is prompted by a message received from Claire Pinder at County Hall last September further to the interest expressed by the Kingsettle Woodland Trust organiser and volunteers who contacted her last September on hearing about the DCB Research project. They are keen to learn about our recording methodology and our discoveries; and - as RW observes - there remains considerable potential here for further discoveries here before the summer undergrowth 'gets going.' Sarah Stebbing, Woodlands Trust Site Manager for Wiltshire and North East Dorset, has kindly arranged for David Humphries the Warden of Kingsettle Wood to meet up with us at the 'Management entrance' sited on the west side of the A350 about a mile north of Shaftesbury. LiDAR is an acronym for Light Detection And Ranging. The link below relates to the Environment Agency LiDAR 1 metre post-processed Digital Terrain Map (DTM) where the vegetation and man made artifacts have been removed. Kingsettle Wood. Boundary 5ft RH (aligned with large and split trees to left) whilst the group walk on the new track. Highlighting the need for a field visit to observe and record. This Dorset - Wiltshire boundary is recorded 5ft RH (Wilts side) on an 1886 survey. Modern works to install a water main has changed the surface features and it is not now apparent that the trees, left and split, were on the original hedge [387720 125289]. HRF in preparation. For our post field meeting 'sit down' we will re-convene at the Kings Arms - which is open all day. We will drive south back along the A350 towards Shaftesbury, over the roundabout into the town and on the left-hand side the Kings Arms comes into sight and running along the side of the building is the entrance to a large (pay and display) car park. Top of our Agenda will be catching up the things - not least matters AONB/HLF and to plans for our June field meeting along a further length of the boundary which crosses the designated area of the AONB - an invitation to their 'members' to join us will be forwarded out on their website. Also a short report 'updating' that forwarded out in January including notes taken at our meeting with Roger Goulding of the AONB at the Priests House Museum in Wimborne on 6 February. And - not least - national publication . . . our website and archive. 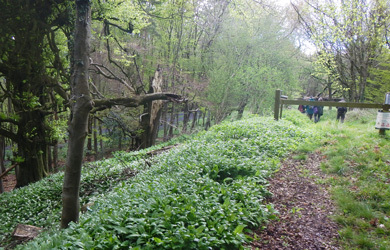 Sarah Stebbing has forwarded me a Risk Statement further to 3 April; the Kingsettle Wood footpaths ‘are un-surfaced and can be steep in places . . . and muddy.’ And I also include here the paragraph kindly forwarded by GH further to our field meetings. The activities of our Research Group are organised informally, and by joining in any of our outdoor events you do so entirely at your own risk, and we accept no liability for those who participate. If you wish to join us you are reminded that you must rely on your own ability and experience to gauge the difficulty and severity of the activity and the route or terrain involved, andyou will be responsible for your own safety at all times. Any decision to continue or discontinue any walk or activity at any point is entirely your own choice, and you are reminded that you should have appropriate clothing, rainwear and footwear, and carry sun protection, food and drink adequate for the weather and the duration of the walk or excursion. Lidar [1m] Relief of Kingsettle Wood. Kingsettle Wood a Woodland Trust wood. 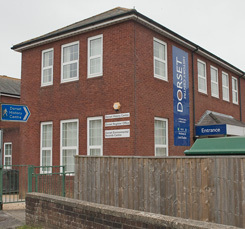 Visit the Dorset History Centre to to carry out research and view archived reports of the DCBS including HRFs. Bridport Rd, Dorchester DT1 1RP. 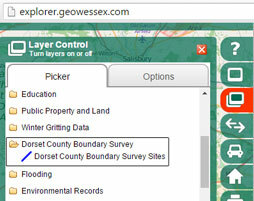 The Dorset County Boundary Study (DCBS) is a project group of the Dorset Natural History and Archaeology Society (DNHAS) undertaking research on the boundaries of the county of Dorset. Copyright of its reports, including online information and Hercological Record Form (HRF) must be acknowledged in any reference or summary. Supporting information copyright remains with the originators and their permission may be required and also acknowledged. It is the user's responsibility to ensure that the copyright law is not breached. We have no responsibility over the contents of third party sites links. Note that the public accessibility of sites adjacent to the boundary is not recorded. Most are in public ownership and we acknowledge the assistance of their owners for permission to access such sites for recording purposes. Please check with the owners and do not visit without permission. © Dorset County Boundary Study 2016. All rights reserved.